How old are your running shoes? Are you training for a race but haven't even thought about what you're wearing on your feet? The running shoes that you're training in, walking in, basically living in, can have a huge impact on whether you'll running in that next race or sidelined by running injuries. 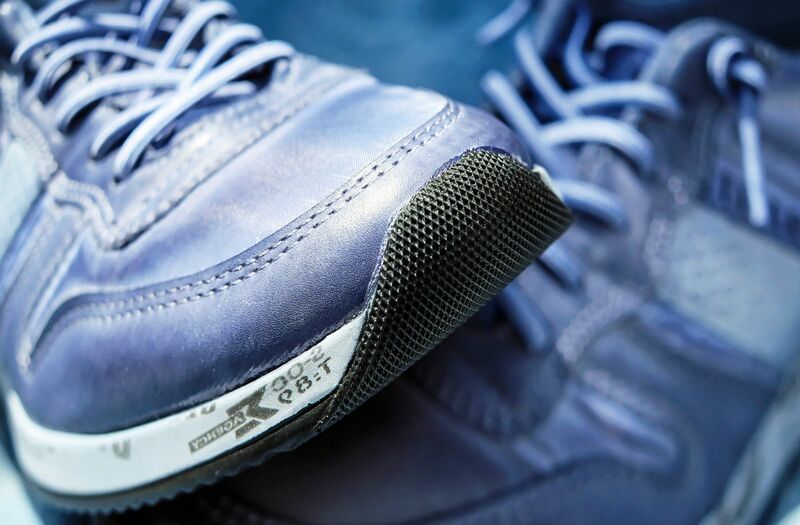 Did you know that running shoes should be replaced every 300 miles? Experienced runners know, the rule of thumb for replacing their running shoes is every 300 miles. Did you know that improper footwear can cause more than foot injuries? In addition to a host of foot problems, wearing the wrong shoes can also put you at risk of developing plantar fasciitis, knee pain, shin splints, tendonitis, and even lower back pain. It's all about da...running shoes! Now, this doesn't mean the coolest shoes, the newest shoes, the brightest shoes, the lightest shoes or even the fastest shoes. This means choosing an athletic shoe that fits properly, provides support and cushion for your feet, knees, and back. It's very important for runners to train in shoes that poorly support their feet and help prevent injury. 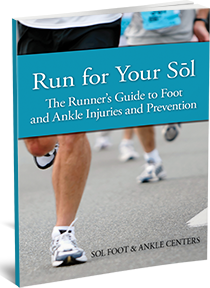 Some of the brands of running shoes that Sol Foot & Ankle Centers recommends are; Brooks, Asics, New Balance, Saucony, and Mizuno. If you're not sure what shoe to buy, talk with your podiatrist about what shoe is right for you. If you are experiencing foot or ankle pain and you have been running, walking, or exercising in worn-out shoes, get a new pair of shoes. If your pain continues after a few days seek help from a podiatrist who is specifically trained to treat foot and ankle problems.